Large and comfortable enough for any job or lifestyle! Two outside pockets that are large enough for the biggest phone. A zippered top keep everything secure. 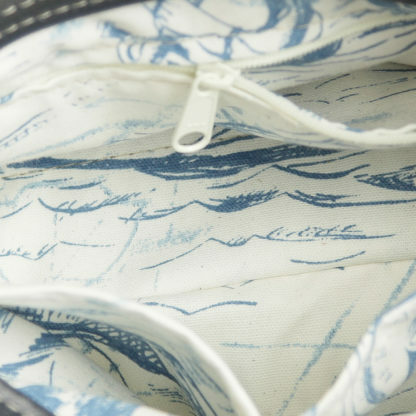 The interior has a large, zippered pocket along with 2 open pockets and a pen slot. Are you a traveler? …..It’s the perfect, stylish carry-on! Need an office bag? …..It will fit your paperwork along with your other office necessities. 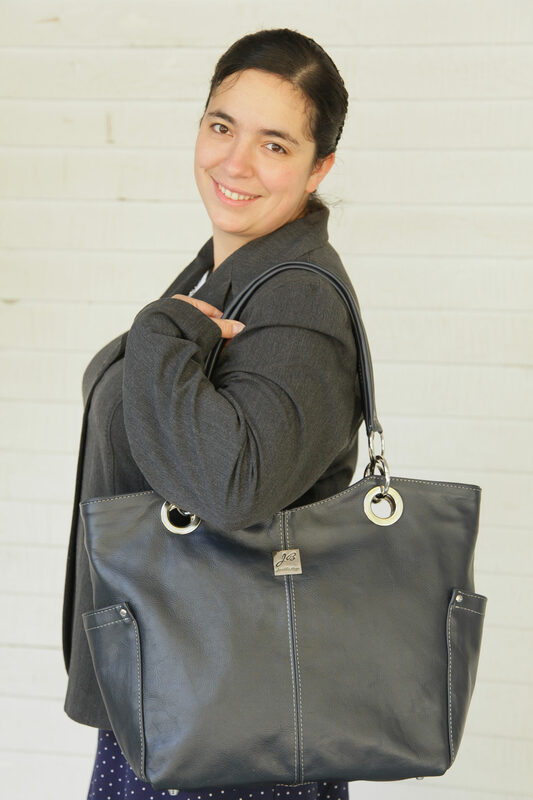 Be the first with a Maine made, leather bag at the office! Maybe you are a fellow-mom!! !….It is a mom-tested WINNER! Bottles, wipes, diapers, snacks, outfits….you need it? You will have it! And best of all…it will carry it all so comfortably that you will use it for your purse! 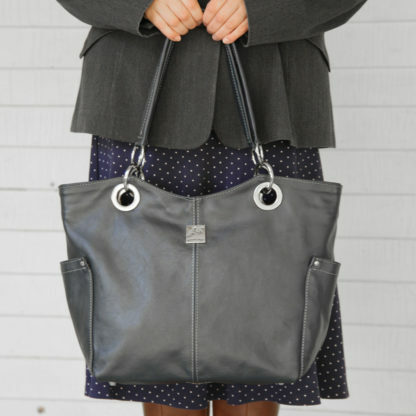 Soft, Maine-tanned leather with silver hardware and logo tag make this bag your new must-have!